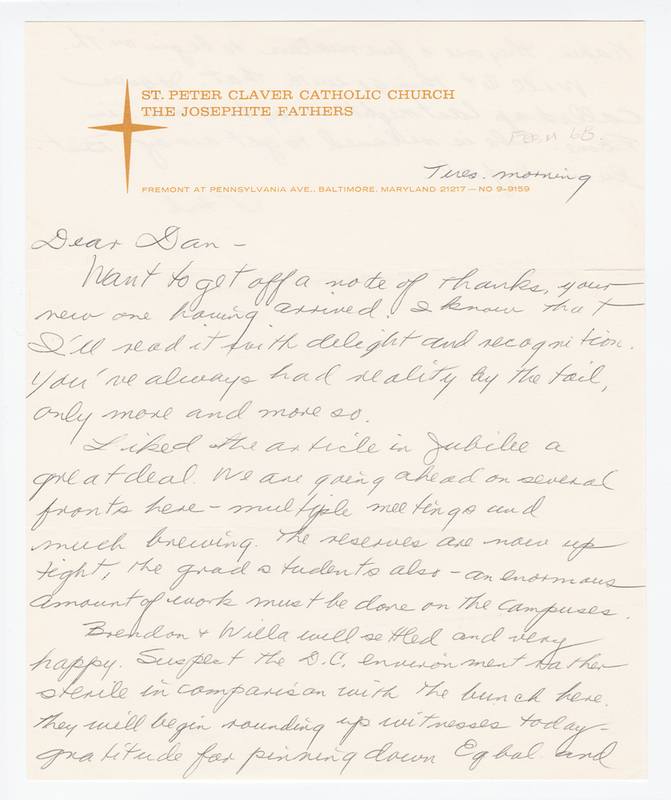 In this short note, Philip Berrigan thanks his brother for his letter, mentions the work awaiting on the campuses, and a few people known to both of them. Ill read it with delight and recognition. only more and more so. amount of work must be done on the campuses. sterile in comparison with the bunch here.